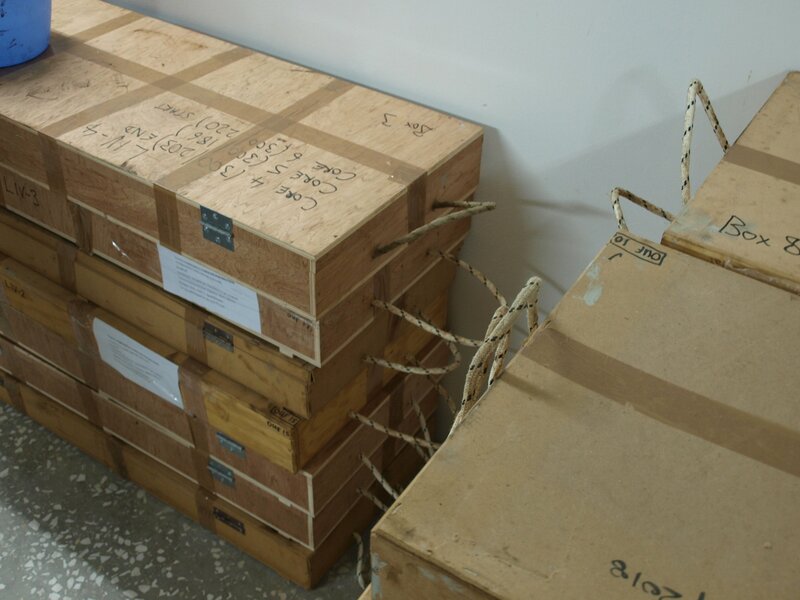 The boxes of sediment cores from the marine drilling of summer 2018 in the Gulf of Livadi, ready to be opened for sampling. A sample is taken from each core every 10cm for further analysis in the lab. Only a part of the core is sampled so material remains for future scientists who may wish to do further analysis. In the lab the samples are first washed and sieved to obtain the material that will be analysed. A small amount of the raw core material is carefully placed on a microscope slide, ready for examination. 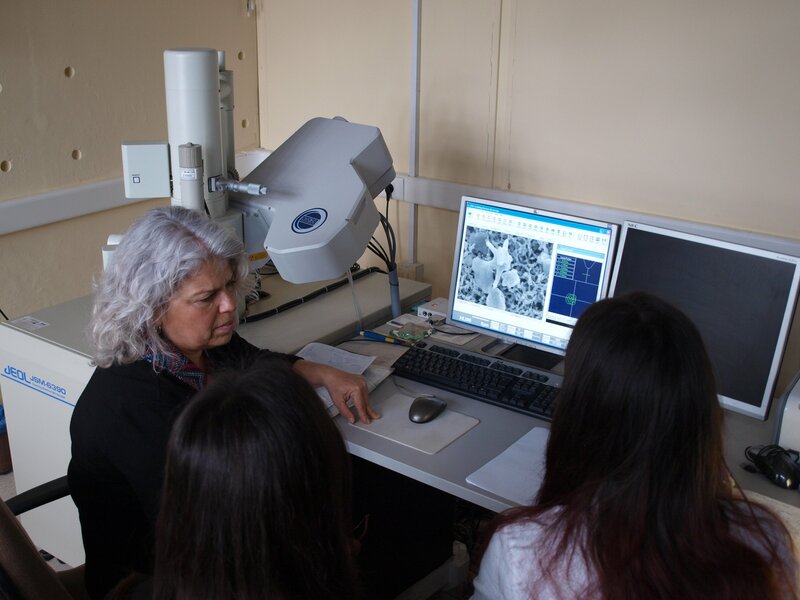 The micropalaeontology analysis is led by Professor Maria Triantaphyllou. 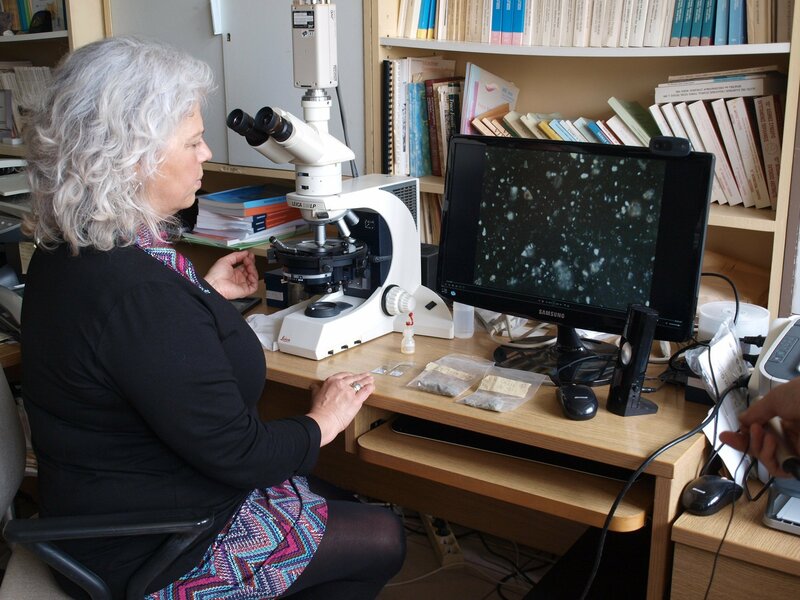 Each sample is first examined under a light microscope to see what microfossils it contains. Emiliana huxleyi - this is what the team are looking for. 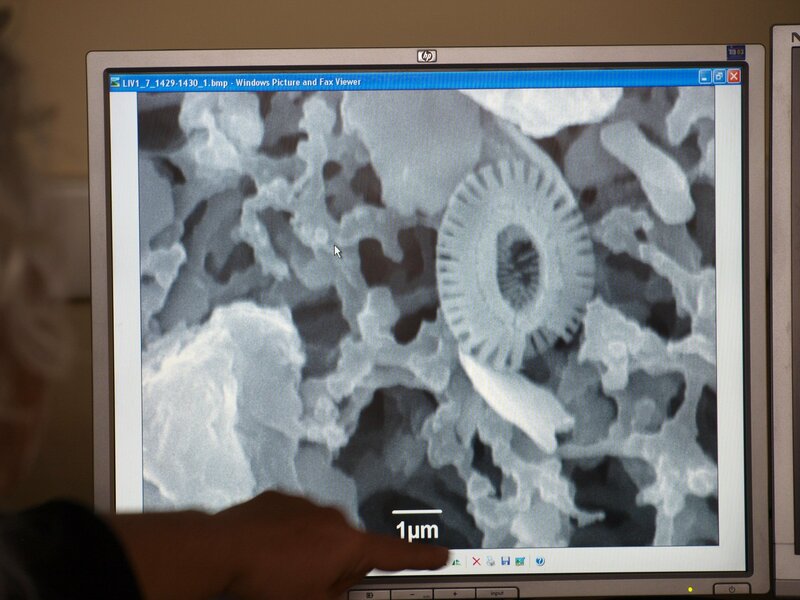 It's a microscopic coccolithophore - the fossilised shell of a marine algae. It's one of the many micro-fossil clues that will help them date when the sea levels rose to fill the channel between Paliki and the rest of Kefalonia. 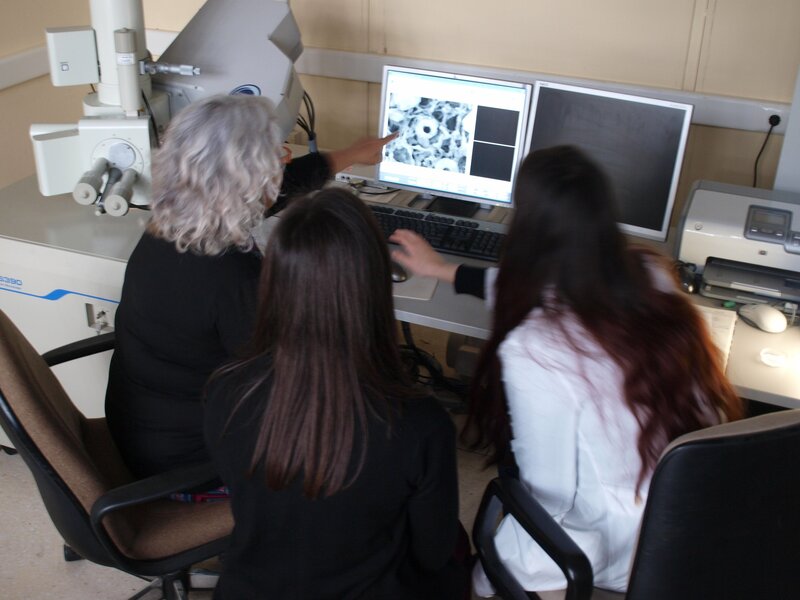 Samples that appear to contain E. hux microfossils under the light microscope are viewed in the electron microscope to confirm their identification. 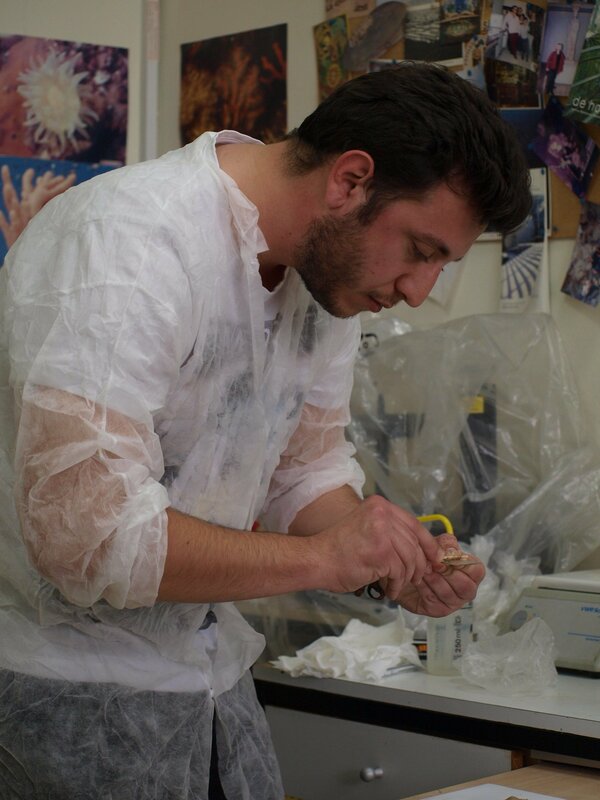 It's painstaking work but the timeline from the micropalaeontological analysis underpins our understanding of the geological changes that probably led to Paliki becoming a separate island in the Late Bronze Age. 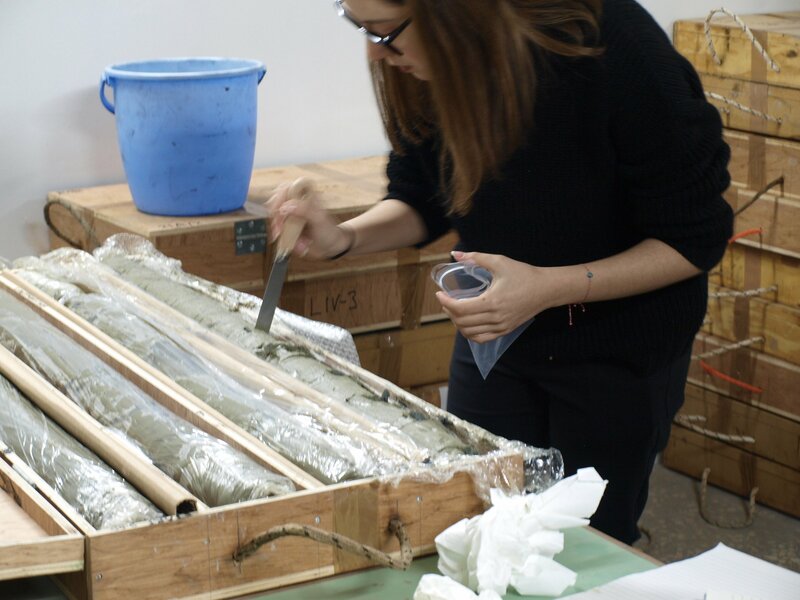 A team of scientists from the National and Kapodistrian University of Athens has begun the careful micropalaeontological core analysis that will give us the all-important dates for when sea levels rose to fill the channel between Paliki and the rest of Kefalonia. 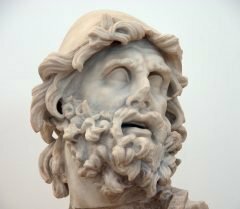 And if, in a few months time, they can say it happened before the time of Odysseus, the Late Bronze Age in the 12th century BC, then the Odysseus Unbound theory will receive an enormous boost! They are looking for microscopic marine fossils that give a date because the species found vary over time and also, if there are any, carbon-based samples such as fragments of wood that can be radio carbon dated.